Julien Méklis (TechyMind), moderator from SeTechnic, published recently a model with his interpretation for an HAMM Compactor. 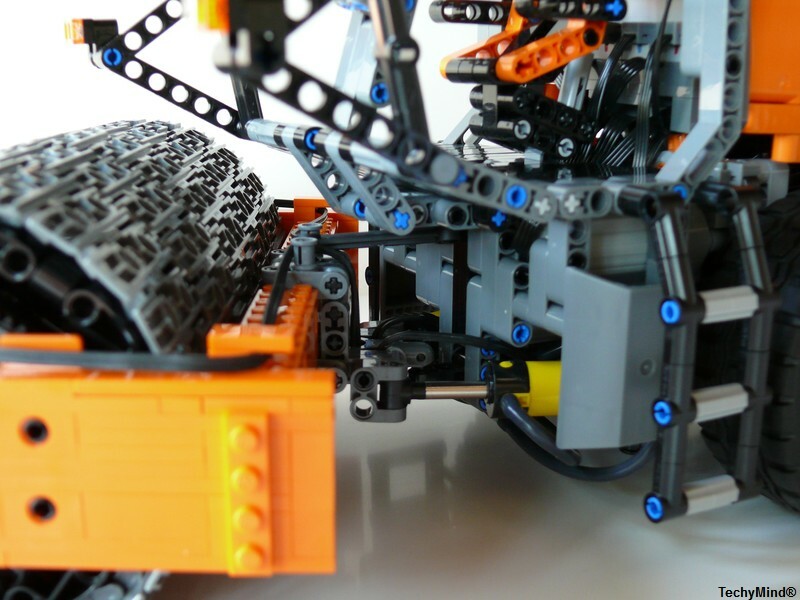 Probably the first one featuring a vibratory drum, in a LEGO Technic version. Realistic color scheme, according to the original, with orange, black and dark bluish gray parts. Below a couple of photos highlighting the pneumatic steering arms and 3 point swivel details. And also part of the vibrating generator with eccentric drum. For the full set of pictures you may reffer to Julien's Brickshelf folder, or the original MOC presentation at Setechnic (although in French). The 8110 Unimog U400 tires make a great fit in this model, despite the whole set of 3rd party RC hobby tires we are getting to know to be "compatible" with LEGO model at this scale. 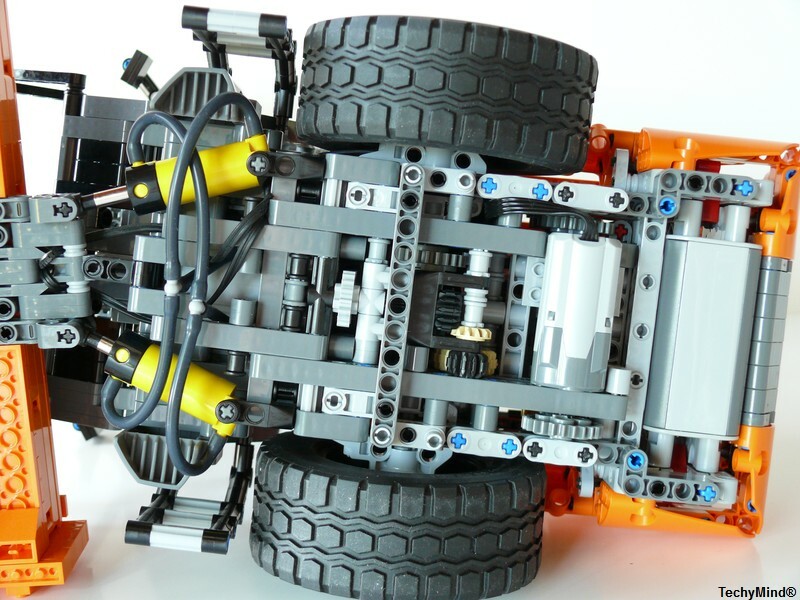 With more or less modifications, I guess it would make an awesome and original machine for an official LEGO Technic set. I hope this designer will post and or make available the instructions to build this fantastic MOC. This is a great model! 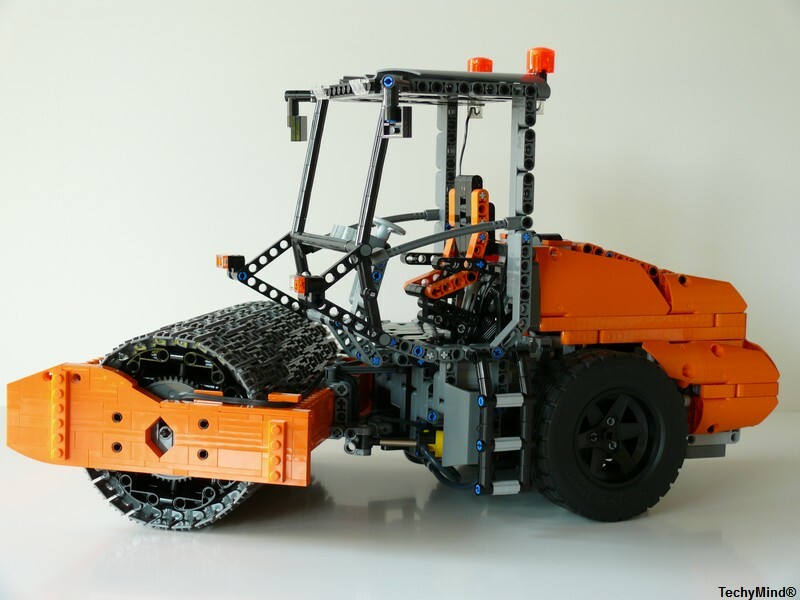 We would really need a "compactor" in the Technic product line!